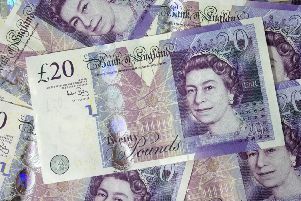 Horsham District Council is to pump £1.65m of developer contributions into 84 affordable rented homes. 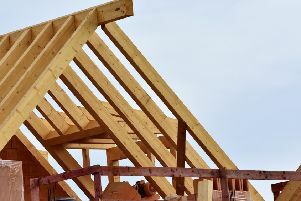 Planning applications are being considered for the homes, which housing association Saxon Weald hopes to build at four sites in Horsham and Rudgwick. If approved, they will be built in Blenheim Road, Bennetts Road and Page Court, Horsham, and Pathfield Close, Rudgwick, and will help the council to hit its target of 240 affordable homes per year. At a meeting of the cabinet, members were told that Horsham’s £1.65m of section 106 funds would be used alongside money from Homes England and ‘considerably more’ from Saxon Weald. Section 106 agreements are negotiated between councils and developers, with money from the developers used to pay for the likes of infrastructure and affordable housing. Horsham places receipts from those agreements into a housing enabling grants budget. That budget for 2019/20 is £1m and the plan is to pay £829,000 to Saxon Weald, with the remaining £829,000 being paid at a later date. The new homes will be made up of 17 one-bedroom flats, 44 two-bedroom flats, 14 two-bedroom houses and nine three-bedroom houses, and will be offered to people on Horsham’s housing register. Two of the sites will be completed in July 2020, one in January 2021 and the last in July 2021. With each house costing the council around £19,000, the project was described by Nigel Jupp (Con, Billingshurst & Shipley) as ‘exceptional’ value for money.